and effective fit for GDPR compliance. 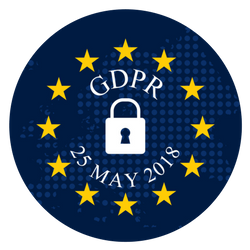 As a global organization, EnterpriseDB (EDB) understands the importance of government regulations around the world, and we are continually deepening our knowledge of how to deal with the requirements of GDPR. With EDB Postgres, you'll be equipped with additional features not available in self-supported PostgreSQL. Talk to us about your infrastructure, and we can help you make sure your Postgres implementations are well supported and robust. The European Union’s General Data Protection Regulation (GDPR) will affect the way your organization collects and processes customer data in Europe. The GDPR regulation is comprised of 99 articles, but there are six specific articles that are relevant to most DBAs. Learn more in the resources below, consult with your legal advisors, and then get in touch with EDB.